The National Cherry Blossom Festival opens this Sunday in D.C.
Cherry blossom season has officially begun in Japan, with the full bloom to arrive this weekend amid rising temperatures. (Kimimasa Mayama/EPA-EFE/REX/Shutterstock) A view of cherry blossoms in bloom in Tokyo, March 23, 2018. 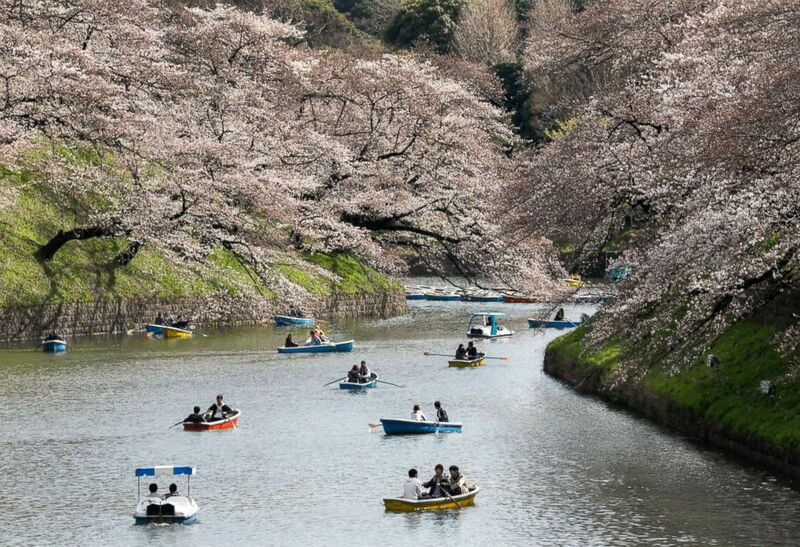 (Kimimasa Mayama/EPA-EFE/REX/Shutterstock) People row boats to view the cherry blossoms in bloom on Chidorigafuchi Moat in Tokyo, March 23, 2018. The cherry blossom is widely celebrated in Japanese literature, poetry and art. 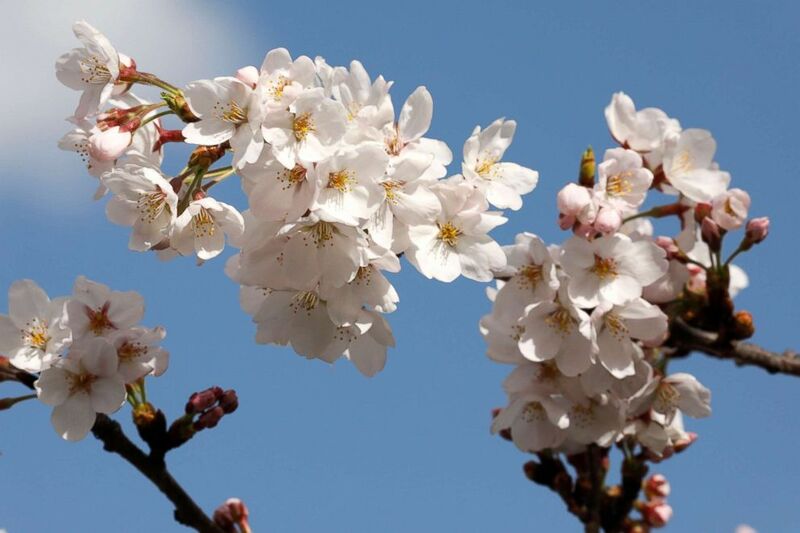 According to the Library of Congress, the cherry blossom carries special meaning to the Japanese as the flower blooms briefly, the blossoms are often seen as a metaphor for the ephemeral beauty of living. At the same time, flower-viewing is an old and ongoing tradition in Japan. 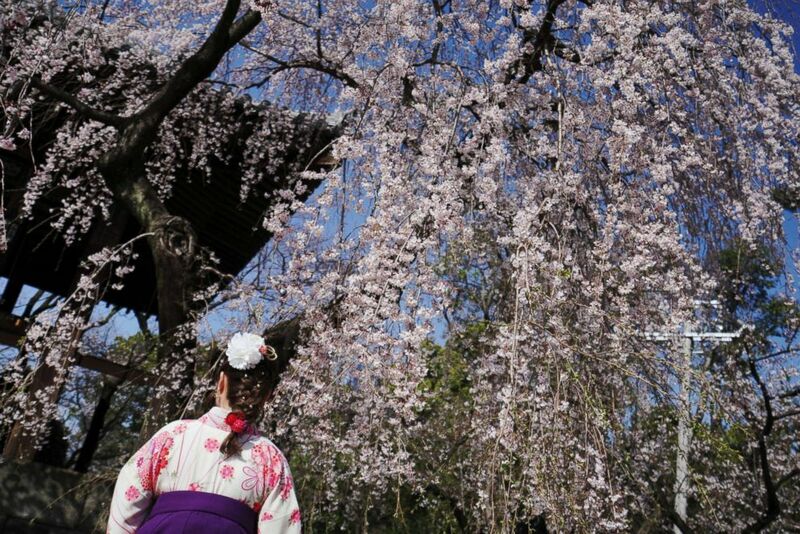 (Eugene Hoshiko/AP) A woman wearing a Japanese traditional clothing called "hakama" views the blooming the cherry blossoms overhead in Tokyo, March 22, 2018. The cherry blossom season marks the arrival of spring for the Japanese. 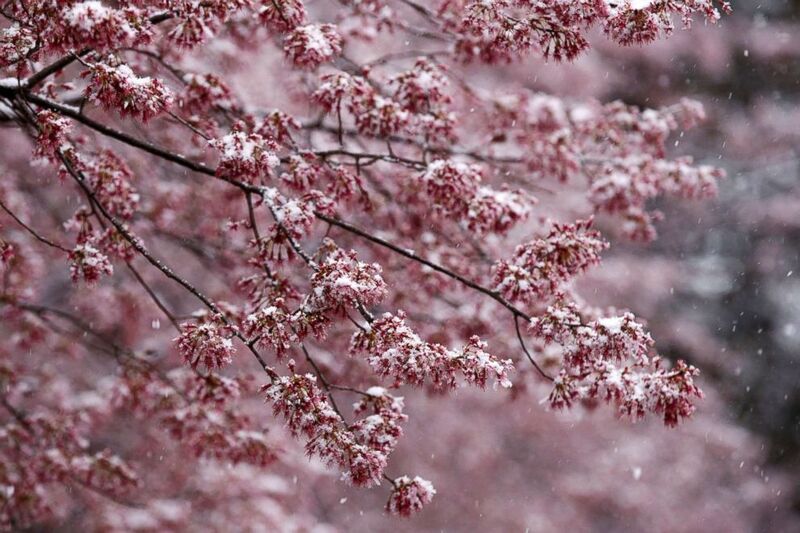 The National Cherry Blossom Festival opens this Sunday in Washington, D.C.
(Shawn Thew/EPA-EFE/REX/Shutterstock) Snow falls on early blooming Cherry Blossom trees in Washington, D.C., March 21, 2018. The festival celebrates the March 27, 1912, gift of Japanese cherry trees from Mayor Yukio Ozaki of Tokyo City to the city of Washington, D.C.
Ozaki donated the trees to enhance the growing friendship between the United States and Japan, and also to celebrate the continued close relationship between the two nations, according to the National Cherry Blossom Festival's website. 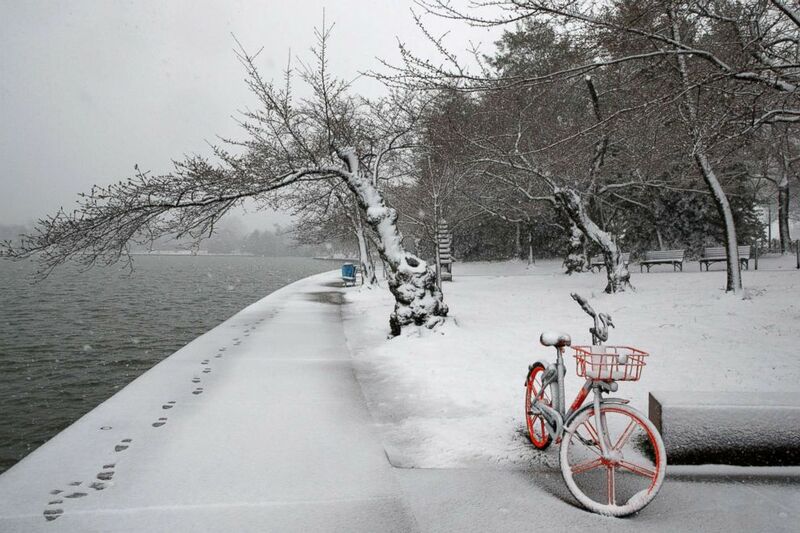 (Jacquelyn Martin/AP) Snow falls on a lone bicycle and cherry blossom trees at the tidal basin, March 21, 2018, in Washington D.C. during a snowstorm on the second day of Spring. The blossoms were originally thought to peak March 7 but due to cold temperatures in February and then snowfall in March, that date has been pushed back. As of Friday, the National Park Service is predicting the prime blossoming dates in Washington, D.C., are March 27 to March 31. Check the official site for updates.